Are you ready to talk DESSERT? I am excited to welcome you to holiday pies and treats, a new cooking class featuring guilt free options for the upcoming holiday season. 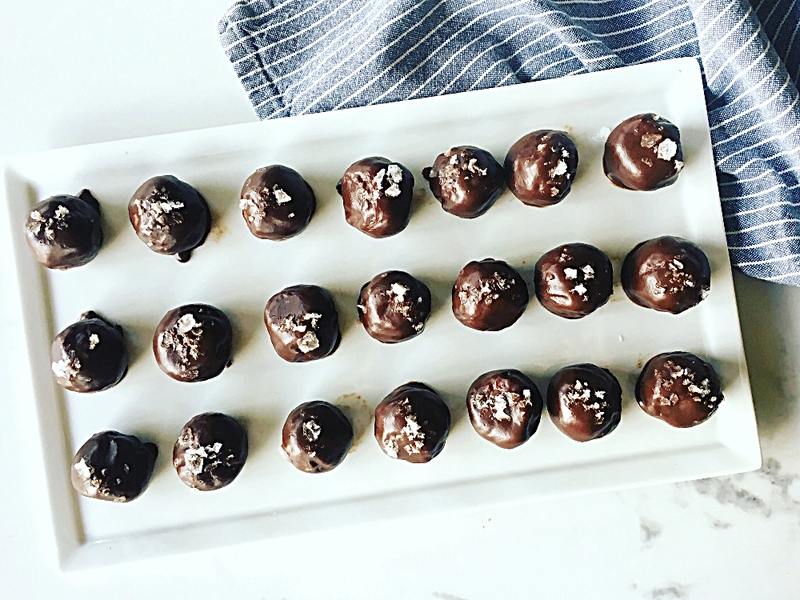 Having an arsenal of celebratory confections is key to maintaining sustainable and clean food goals during a season where sugar filled treats are found everywhere. If you want to get the hang of making a flaky grain free pie crust, or want to get away from using refined white sugar but still want to make special sweets, or if you or a loved one has a gluten and/or dairy allergy and you still want to make luscious holiday desserts…then this class is for you. This menu is designed to give you healthier festive options of holiday treats to bring when invited out or to serve when dining in. 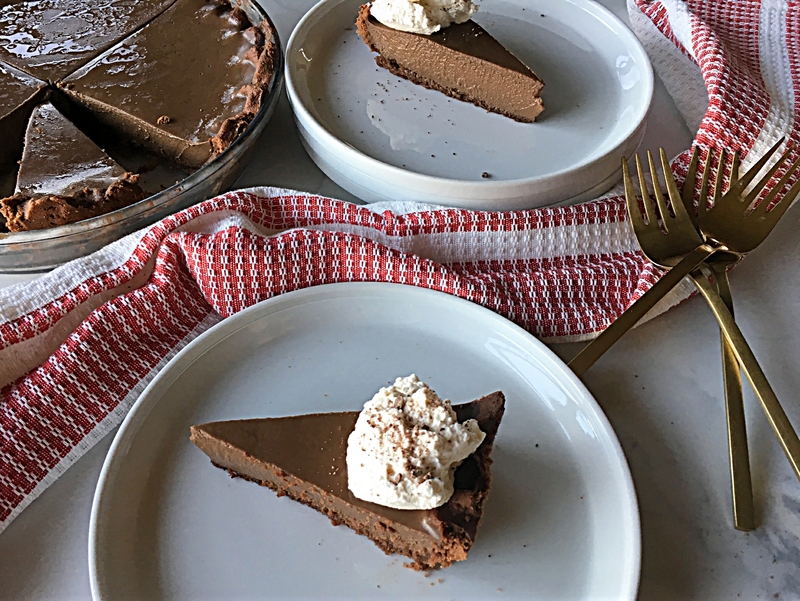 On the menu is a rich Double Chocolate Cream Pie, and a fragrant traditional Apple Pie with an unbelievable, flaky grain free crust. We’ll make decadent and delicious Pecan Butter Chocolate Truffles, and The Ultimate Cookie Bars which are a dynamite combo of chocolate chip cookies and brownies. For those times when crunch and simplicity is preferred, we will prepare Holiday Spiced Nuts. They make a great hostess gift, or something delicious to leave out throughout the holidays to snack on. ♥ All recipes are gluten, dairy, soy and refined sugar free. ♥ Recipes, beverages and a light meal is included. ♥ Space is limited and prepayment is required. Please e-mail me @ cookwithamyg@gmail.com for more info. Hi Amy – would love to attend your class on Saturday. Is there still room? Yes Shelly, There still is room and I’d love to have you! I’d like to sign up for the class on the 12th. It will be bringing a friend too. Jennifer Wasley. Let me know how to send payment. Looking forward to it, as always! Thank you Kristi! Sounds like fun to me. I’m excited to have you and meet your friend. I’ll email you details about payment. Eloise Miller and I would like to attend Saturday the 11th. Still have room? Hi Eileen, I have 2 spots reserved for you and Eloise. I’ll send an email about payment options. Thank you! Hi Amy, I would like to sign up for the Sunday class! Sounds good Eileen. Thank you! Yes! Both classes are almost full. I’ll email you Therese about payment options. Thank you! Friend, is there room in the Saturday class for two? Kristin and I would love to attend! Hi Amy, any room in your Sunday class?